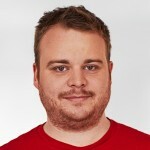 The first entry in the IBAN Discrimination Hall of Shame is CosmosDirekt. CosmosDirekt is a German insurance company offering products from liability insurance to car and life insurance. 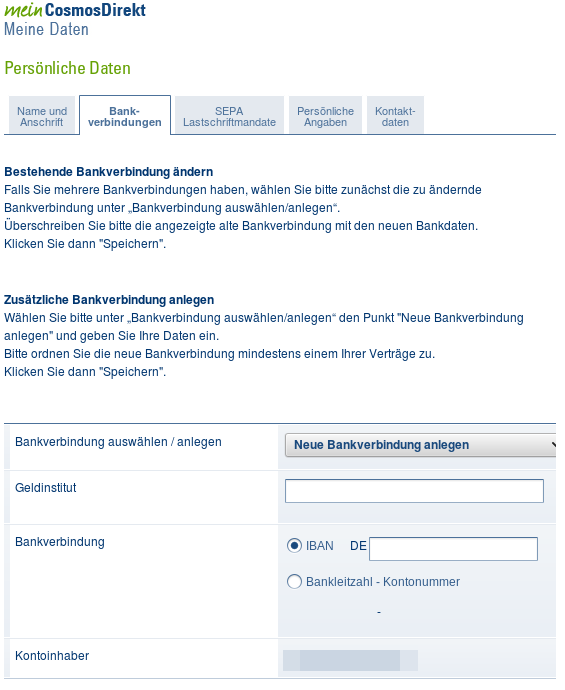 Screenshot of “Update your bank details”-page. I actually failed to update my bank account details three times, because I did not notice the DE not being part of the input field – just copy and pasting your IBAN will always lead to an error (because it is then DEDE0000000). If you also have found violations of article 9, please consider contacting me about it. That’ wrong. You just can’t insert a ForeignIBAN in this field. Cosmos uses direct debit to collect funds from other countrys too. So this is not violation of this article. Why is this so? Because when you have 2 Million DE-Ibans and about 300 Not-DE IBANs you optimize the Prozess for the 2 Millions. So it is easyer for 2 Million an a little bit more difficult for 300 Persons. I would argue that having a user put “DE” into the box with their IBAN, which they probably copy/pasting anyways is less complicated than having them see that they have to remove the “DE” before copy/pasting. Happens to me everytime. And gues what else. The Numerical part of that input field is (or was, am no longer a customer) length-restricted. So when you paste your full IBAN, the last 2 numbers get cut off. You then remove the duplicate “DE”, send and see an error message that your IBAN is wrong because the last 2 digits are missing. Yeah, great user experience prefilling DE outside the textbox!